Currently, there are hundred-five identified synagogues and prayer halls in country. 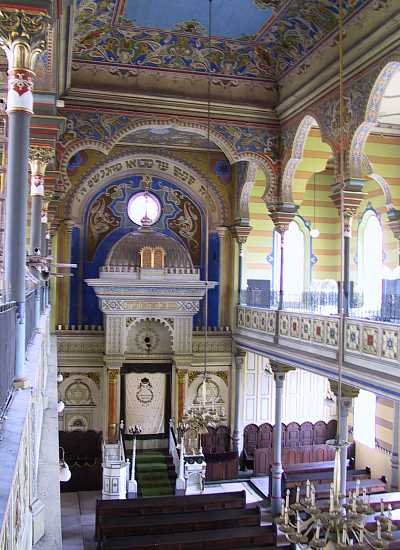 Few synagogues were painstakingly restored and are used for cultural purposes, though most of them met different destiny. Some had been demolished during World War II, while many more were destroyed during Communist totalitarian regime within framework of megalomaniac urban projects or as a result of targeted cleansing off of last traces of former Jewish presence in many cities (e.g. Galanta, Bratislava, Michalovce, Humenné, Hlohovec, Nové Mesto nad Váhom). Other synagogues altered their new owners to serve different purposes and original character of building often disappeared (e.g. Huncovce, Krupina, Studienka, Skalica, Spišská Belá). Many of them stand without use in dilapidated condition and face imminent disappearance (e.g. Šaštín-Stráže, Príbeník, Veľká Ida, Stupava, Bytča). Empty and looted synagogues, whose communities disappeared together with their rabbis, cantors and Torah scrolls in flames of the Holocaust, remained in many Slovak towns as last witnesses of rich cultural past of one of once flourishing European Jewish communities. Preserved synagogue objects in Slovakia originate mostly from the 19th or first half of the 20th centuries. 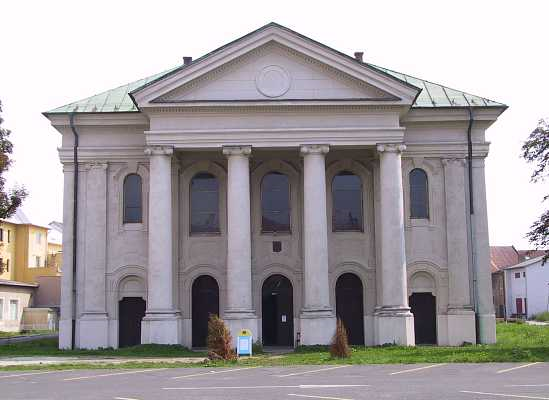 Valuable buildings include Baroque synagogue in Svätý Jur, neo-Classical synagogues in Huncovce, Šarišské Lúky, Šaštín-Stráže and Liptovský Mikuláš. Nine-bay synagogues had been preserved in Stupava and Bardejov. 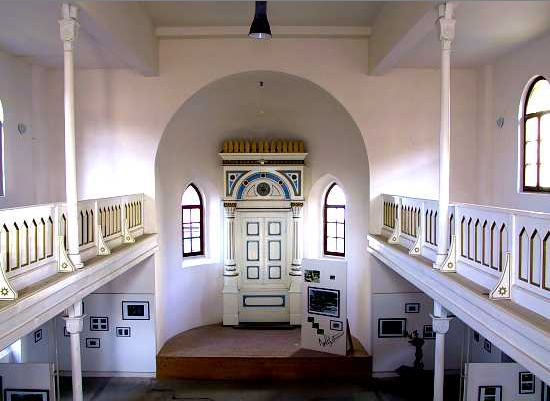 Once fashionable Moorish style, represent the synagogues of Malacky (architect Wilhelm Stiassny), Vrbové and Prešov. Leading architect of art nouveau synagogues Leopold (Lipót) Baumhorn designed synagogues in Nitra and Lučenec, and restored synagogue in Liptovský Mikuláš. Valuable art nouveau synagogue stands also in Trenčín. 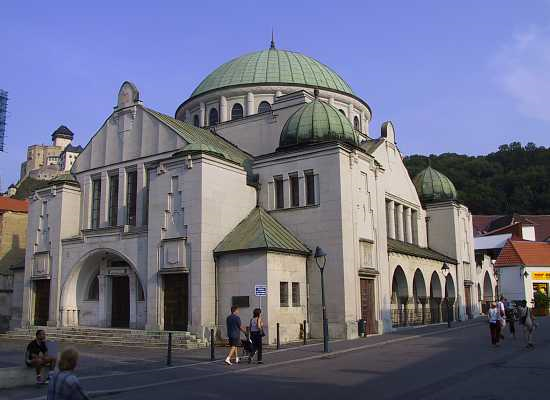 Synagogues in Bratislava (architect Artur Szalatnai-Slatinský), Košice (architect Lajos Kozma) and Žilina (architect Peter Behrens) were constructed in the interwar period. City of Košice features valuable grouping of Jewish monuments. This eastern Slovak city used to be prior to Holocaust a center with several Jewish communities representing broad spectrum of Jewish religious streams. Communal buildings of former Hassidic, Orthodox, Neolog and Status Quo Ante congregations, some of them with original inventory, had been preserved until these days.